A not for profit maker society in the Waterloo Region, providing tools, community connections and learning opportunities for makers in our area. Our members include self driven learners, long time enthusiasts, artists, advocates for maker culture and owners of maker-themed businesses. We have 3D printers, an electronics workbench, and more! Our laser cutter features a 2×3 ft. bed and is capable of cutting a range of materials, including plywood, acrylic, cardboard and fabric, into custom shapes. Have a sewing project? With four heavy duty sewing machines, a serger, and a CNC embroidery machine, our tools make work easy, and the results are awesome! Our “Heavy Lab” includes wood and metal working tools such as the lathe, mitre saw, bandsaw, drill press, MIG Welder, and a CNC router with a 4×4 ft. cutting bed. Members have access to our facilities 24 hours a day, 7 days a week. Scroll down to learn more about becoming a member. Do you need regular access to tools, equipment, and a space to work? Are you capable of working in a shared space in a respectful manner and following the rules that govern that space? Kwartzlab employs no staff, and is 100% operated by the voluntary contributions of members. Can you contribute an hour or two of time and effort monthly to help maintain our shared facilities and build our community? Finally, as a majority of Kwartzlab’s operations are funded by membership dues, are you able to pay our monthly membership fee ($55+HST)? If you answered “yes” to all of the above, we would love for you to join us! To get started, come to one or two Tuesday Open Nights to view our facilities and speak to some of our members. Feel free to bring a project to show off or get advice about. Once you decide to join, you just need to talk to a member during Tuesday Open Night. We will interview you, explain the rules and ask you to agree to them, photograph you, and post your membership application to the internal mailing list. There is a 5 day waiting period during which members can comment on your membership application. Then you will be invited to become a member. You’ll need to set up online payments for your membership dues, and pay your first month dues ($55+HST). Then we will give you a key card, and you can come in any time you want (24 hour access). Read through the member manual, so you’ll know what to expect once you join. Please note you will have four weeks to start your payments, once accepted as a member. Read through our code of conduct, so you’ll have a sense of how we come together as a community. Membership costs $62.15 per month ($55+HST). You are encouraged to set up automatic monthly payments, usually through your bank or PayPal. There is some short-term storage available for works in progress, and a limited amount of long term storage space will be designated to you. Commercial activity is allowed. 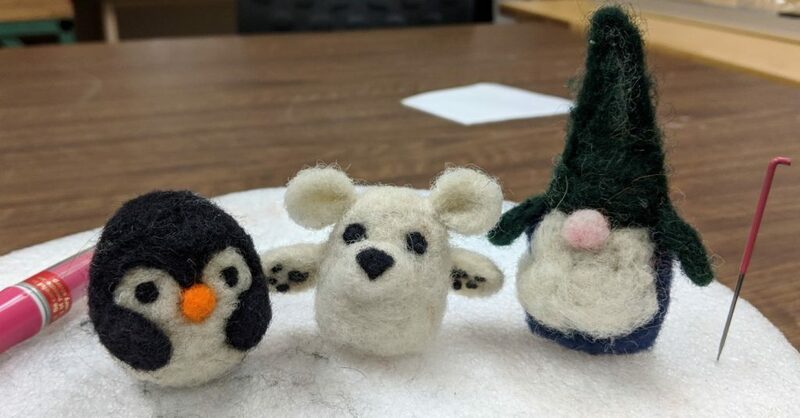 Some members are artists and artisans who create projects on commission for clients using Kwartzlab facilities; others are small business owners who do occasional prototyping at the lab. What’s not allowed is mass production, taking over floor space or bench space for long term personal projects, and in general hogging the facilities to the detriment of other members. If you want to socialize, Tuesday Open Night is our main social night. There is a members only social night Thursday evening, for working on table top projects (the robot club, not restricted to just robotics). There are also workshops, parties, and public events you can volunteer for. If you just want to get work done, Kwartzlab is not crowded outside of scheduled events, and we have had little need for tool sign-up sheets. Kwartzlab is a democracy. We do much of our communication via a members-only mailing list. There are also Slack channels for discussions of special topics. Kwartzlab is a do-ocracy. We are a volunteer run organization, and things only get done when somebody steps up to do them. And that’s how you earn respect in our organization. The people doing the work have the greatest say in how it gets done. Once you have been accepted as a member, please visit our Membership Dues page to learn about payment options. Seven directors are elected each year at the Annual General Meeting, and serve for a term of 1 year, beginning July 1. The Executive Office is appointed by the Board. For up to date news and information on events, subscribe to our Facebook Page or Twitter Feed. You can also check out our events calendar below. Thank you to those who help us continue to grow. Thank you to those who helped us get started.